In the latest trends eCommerce platform has become the powerful attention drawing tool right from the entrepreneur for developer segment. They can incorporate anything and everything, flexibility, scalability and modularity, make the platform a favorite with the developers. 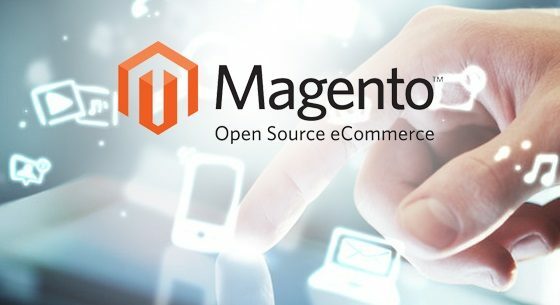 The developers are also in love with Magento as its open-source ecommerce platform written in PHP and comes in umpteen numbers of features like spontaneous administration interface that includes search engine optimization, robust marketing and catalogue-management tools helps the developer to create customized unique. Why is Magento ECommerce Platform is most preferred? The Magento eCommerce platform comes packed with loads of user-friendly features makes a perfect choice to reach globally. Magento offers users with highly interactive shopping experience and helps to a list that is configurable of the countries, multiple languages and multiple currencies. EU cookie notification, EU VAT-ID validation and many more features are available on this platform. The features of Magento eCommerce platform are most powerful in SEO, content management and marketing. This platform facilitates customization at front-end as well as baked and meta-information for different categories, products and subcategories makes the website get a better page rank. Magento is the PHP code with the open source nature that makes it immensely easy and powerful tool to try things around. It also permits automatic updating of commerce website, which is not available in other e-commerce platforms and it is considered to be a topmost commerce marketplace for applications in the entire globe. Security is the top priority in this platform. This platform provides ample security to the business owner as well as the customer as it comes to PCI standards for data security. Magento is simple, quick and comprehensive, makes it easy for customers to search services or products and also support online stores in promoting their inventory in diverse domains. Being designed to be a configuration based MVC system, Magento ecommerce platform helps to make a website highly scalable with top quality performance. It permits to arrange a couple of parameters to adjust website’s execution and also contains high end cache systems.